Pictured left to right: Lynette Tornatzky, Steve Vinson, Marisa Fernandez, Amanda Esparza, Greg Carstairs, Jim Stanfill, Melissa Carstairs, Tim Carstairs and Britaini Montana. Carstairs Energy provides fast, professional, and affordable energy compliance documentation including Residential and Commercial Title 24 and HVAC Design Services in all areas of California. Carstairs Energy also provides Home Energy Rating Services, whole house energy audits, and Green Point Rating in San Luis Obispo County. Energy-Wise Realty is a full service real estate agency serving all of San Luis Obispo County specializing in new construction and energy efficient properties. We guarantee dedicated service and personal attention to all our client’s requests from the first point of contact to the signing of the purchase agreement and beyond. Our listing package includes professional photos, Virtual house tour, online and social media advertising as well as agent hosted open house events. Sullivan Law Corporation provides legal services related to wills, trusts, estate planning and estate administration, as well as transactions related to real property and business entities. Attorneys Shaunna Sullivan and Jesse Hancox have collectively provided legal services for over 44 years. Sullivan Law Corporation is an active member of our community and one or more of its attorneys are involved in a number of organizations including: the Los Osos/Baywood Park Chamber of Commerce, the San Luis Obispo Botanical Gardens, the Central Coast Biological Society, the Morro Coast Audubon Society, the Small Wilderness Area Preservation, the Bay Foundation of Morro Bay and the Morro Bay National Estuary Program. Both attorneys are currently members of the San Luis Obispo County Bar Association and the State Bar of California. Shaunna Sullivan is also a member of the Women Lawyers Association of San Luis Obispo County, South Bay Women’s Network and serves on the Board of Directors for the Bay Foundation of Morro Bay. Jesse Hancox serves on the Board of Directors for the Conejo Free Clinic. We are so excited about our new directory we are producing for 2019. This is the member voice of our Chamber and we are designing the book to have a magazine feel that draws in readers, visitors and potential new business to our wonderful community. We will have big pictures, lots of great content and more opportunities to network. We here at Los Osos Valley Memorial Park and Mortuary are grateful servants of our community. Originally began as a simple cemetery intended to honor veterans we have grown over the years, but have never forgotten our founding spirit. We honorably care for those who have been lost in a historical plane crash as well as the many dear honored loved ones entrusted into our care. We seek to be a place of refuge, comfort, and honor as we celebrate the significance of lives that have been lived. We continue to strive to enrich our community through action and partnership, and by hosting out beloved Memorial Day and Veterans Day events. Please join us in our commitment to our community. 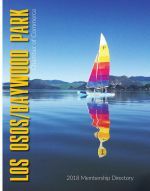 The Los Osos/Baywood Park Chamber of Commerce is looking for a part-time (flexible schedule) Advertising Sales Rep for securing ad sales for the Chamber website, weekly e-blast sponsors, e-newsletter both ads and flyer inserts. Contact and sell Chamber advertising to Chamber member businesses and organizations. Schedule appointments and personal visits with prospective advertisers. Close sales during on-site visits or through follow-up phone calls/visits and email correspondence. Understand the specifications of producing both digital and print advertising. Coordinate with the Executive Director on design and placement requests. Have knowledge of all Chamber benefits. Use statistics to pitch benefits of Chamber advertising to members. Handle incoming inquiries to buy ad space. Represent the Chamber in a professional manner. Experience in sales & comfortable in making cold calls. Self-starter with a professional appearance. Today’s consumers enjoy shopping small and supporting locally-owned businesses. However, that doesn’t mean small business owners can sit by idly and expect paying customers to show up. If you want to compete with the price and convenience of mass-produced goods, especially during the busy holiday shopping season, your business needs to meet holiday shoppers’ expectations. Use this checklist to prepare your small business for the holiday shopping season. Decorate the storefront: Who can resist stepping into a bright and cheery store when the weather outside is cold and dreary? Make sure your small business appeals to passersby with a festive window display. Capterra’s budget-friendly ideas will get you started. You can get creative to make a Christmas tree, dress up your mannequins or add a touch of holiday wonder to your display window. Update the website: Online shoppers want in on the holiday cheer too. Draw in shoppers and push holiday promotions with seasonal graphics and banner images that incorporate holiday themes while staying on-brand. Shoppers spend billions of dollars during the holiday shopping season. In order for your business to claim a piece of the holiday shopping pie, you need to be prepared for the temporary increase in volume. Test the website: Consumers are shopping locally, but they’re not always doing it in person. In 2017, foot traffic in stores fell 7.5 percent while ecommerce sales grew by 17.8 percent. Make sure your website is ready for the season by improving loading times, fixing broken links, and soliciting genuine reviews of your business and products. Upgrade payment systems: The last thing you want is to lose a sale because you can’t process a customer’s payment method or they don’t trust the security of your payment system. An updated payment system ensures customers can pay you no matter where they shop, whether at your storefront, online, or at a local pop-up event. When choosing a payment system, look for a credit card machine that’s not just easy to use, but also portable, reliable, and secure. Bolster inventory: Carrying too much inventory can cost your business, but so can falling short. If a customer can’t find what they’re looking for at your store, they won’t wait around for you to get it in stock — they’ll go somewhere else. Analyze historical sales data and current shopping trends to calculate this year’s inventory needs (LightspeedHQ explains how). Then, keep close tabs on your stock so you know when to re-order. Holiday shopping is all about the customer experience. Shoppers are drawn to stores that take part in the holiday cheer with festive decorations, seasonal promotions, and more. Here’s how your business can give people the holiday shopping experience they crave so they come back all year long. Mail holiday cards: Greeting cards may seem like a relic of the past, but modern shoppers still appreciate the personal touch of a mailed card. If physical cards aren’t in the budget, a festive email newsletter can accomplish the same thing at a fraction of the cost. Plan seasonal promotions: Everyone loves a good deal. In fact, 82 percent of shoppers admit to being influenced by promotions like sales, free gifts, and free shipping, according to a survey from Deloitte Insights. If you want to encourage shoppers to choose your business for their holiday purchases, come up with a holiday promotion they can’t resist. Give back: Giving back is one of the most effective ways to make your small business stand out in the local community. Donate a portion of your holiday profits to charity, volunteer with a prominent nonprofit organization, or participate in community events. Afterwards, market your charitable giving humbly, but visibly on social channels.When your business relies on fourth-quarter sales for its bottom line, you can’t afford to miss out on the holiday shopping rush due to outdated payment systems, laggy websites, or lackluster branding. Start tackling this checklist before the season starts so your business makes a positive impression on this year’s holiday shoppers. Luis Quiroz, owner, and staff Connie and Hope are long time residents of the Central Coast, they look forward to personally addressing your insurance needs…we are Farmers..
Pictured left to to right: Lynette Tornatzky, LOBP Chamber Board Secretary; Luis Quiroz and Hope Cornejo of Farmers ; Jim Stanfill, LOBP Chamber Past President. We are a full-service Real Estate and Property Management Company with more than 30 years of experience specializing in the Central Coast, from Pismo Beach to Cambria, including houses and properties for sale in Morro Bay, Los Osos and Cayucos. Additionally, we manage hundreds of rental properties and multiple storage facilities, giving the residents of the Central Coast a one-stop shop for all of their Real Estate needs. So much more goes into starting and growing a successful small business than simply having a cool idea. Sure, that may be step one, but there are plenty of good ideas that failed as small businesses. This isn’t meant to frighten you. Instead, it’s meant to get you to work that much harder to ensure your business starts off on the right foot. Here is some essential advice. Sure, social media has grown to become a powerhouse for reaching and engaging with potential and current customers and clients. But even so, your business’ website remains the number one tool to connect with the public. Your website is likely the first — and maybe only — look people will get at your business. That’s why it’s so important to have a professional, informative, and easily navigated website. If you need help getting started, this guide shows you an overview of an easy-to-navigate, user-friendly website that acts as a storefront for goods/services and provides an excellent digital footprint. If you’re savvy enough to build a website yourself, go for it. Otherwise, enlist the help of a professional so your website looks top- notch. You’ll also want to keep your website updated regularly so that it evolves with changing technology and needs. If your website is your body, then Facebook, Twitter, and Instagram, are your clothing and hairstyle. It’s what people truly remember about you and what you should focus on daily to attract people. The best thing about social media is that it allows you to grow your business on a budget. It’s usually free (unless you pay to promote your posts). Social media has the ability to give your new business increased visibility, brand awareness, more inbound traffic, and brand loyalty. There are plenty of social media hacks for the business beginner. You can cross promote across multiple platforms and tie everything back to your website (and vice versa) through branded icons, for example. It’s really the king of direct marketing. Unless you found yourself a couple of angel investors or completed a successful crowdfunding campaign, chances are you don’t have tons of extra cash in your war chest. For many small businesses, the beginning stages involve a lot of spending money and not a lot of making money. That’s why it’s vital you think about generating capital via side hustles. One option is the sharing economy — making money via a peer-to-peer app like Uber, Airbnb, TaskRabbit, etc. There’s also the option to freelance, consult, and/or tutor, most of which can be done online. Another option is to sell your wares on a marketplace like Etsy — anything, really, to generate some extra cash on the side. The good thing about online and from-home work is that it is flexible, and you need that flexibility if your main focus is starting up a business. The best small businesses solve a problem; they don’t try to solve a bunch of problems satisfactorily — they solve one problem very well. In other words, they have a niche. Niche doesn’t have to mean a small or strange focus. Part of finding that niche involves doing research on your potential competition. Part of it is estimating how profitable you can be in your particular niche by searching profitability in related fields. Sure, you should love what you’re doing and have a passion for your business, but don’t be afraid to find the perfect market. These tips should get you in a place to succeed. However, don’t forget about perhaps the most important thing: stay happy and healthy. Focus on self-care so that you have the strength to truly throw yourself into your passion. A small business can only be as healthy as the person at its helm, so your mental, physical, and spiritual health is paramount. FOUR COMPANIES UNITE TO FORM DISCOVERY LIFE SCIENCES – Conversant Bio, Folio Bio, Discovery Life Sciences and Phylogeny announced today that they have merged under the name Discovery Life Sciences™ (Discovery) to create a global market leader in biospecimen analysis and procurement for the pharmaceutical, biotechnology, and diagnostics industries. The new company will leverage deep scientific expertise and consultative services, combined with the largest repository of more than 10 million research-quality biospecimens—all available and processed for analysis—to accelerate the discovery, research, and development of novel biomarkers, drug candidates, and diagnostics. Water Street Healthcare Partners, a strategic investor focused exclusively on the healthcare industry, facilitated the merger and invested in the company. With a particular emphasis in oncology; cardiology; neurology; and infectious, inflammatory, and autoimmune diseases, the newly combined company’s catalog includes normal, suspect, and disease-state specimens comprising rare diseases and racially and ethnically diverse exemplars. Discovery obtains these biosamples through its Discovery Partners™, a global, integrated network of more than 165 clinical sources, in 25 countries on six continents. Due to these clinical partners, Discovery is unmatched in its ability to recruit the most diverse patient populations and obtain the highest quality of ethically obtained clinical research specimens. Discovery can study specimens on all research and diagnostic platforms. It is committed to quality and integrity as an ISO 9001-certified company with CLIA-certified labs, stringent IRB and Ethics Committee compliance, and all required EU approvals and certifications. Navigating the new personal data protection regulations (both US and internationally) is a core competency. Golden State Water Company (Golden State Water) has proudly served the Los Osos area since 1976, providing high-quality and reliable water to approximately 2,678 customers through the Los Osos System. Under the leadership of Coastal General Manager Mark Zimmer and Operations Superintendent Anthony Lindstrom, Golden State Water’s local six-person staff is supported by more than 500 scientists, engineers and water experts throughout the state who share the focus of providing exceptional customer care and delivering water that meets all state and federal quality standards. Water delivered through the Los Osos System is 100 percent groundwater pumped from the Los Osos Valley Groundwater Basin through wells owned and operated by Golden State Water. The Los Osos System includes approximately 25 miles of pipe and six active wells. Golden State Water is a participating member of the Los Osos Valley Groundwater Basin Management Committee and works in collaboration with neighboring providers to restore and protect the· health of the local bc;1sin. As such, Golden State Water has recently completed key projects such as the Rosina Nitrate Treatment Plant and Los Olivos Well 5 in an e·ffort to combat sea water intrusion into the basin. In addition to its membership with the Los Osos/Baywood Park Chamber of Commerce, Golden State Water is actively involved in helping th.e community of Los Osos with significant assistance to Celebrate Los Osos, the Community Resource Center, and other various organizations, including annual turkey contributions to local non-profits through the Operation Gobble program. Golden State Water’s local customer service office is located at 1140 Los Olivos Avenue in Los Osos and is open weekdays from 8 am to 5 pm (closed from noon-1 pm and holidays). For the convenience of customers, the company also operates a 24-hour call center at 800.999.4033 and provides information on Facebook and Twitter @GoldenStateH2O. Steve “Bromeliad” Auslender has been active in and committed to the beautiful central coast community and to the people who live here. He owned and operated his own business, “Steve’s Bromeliads” exotic plant shop, in Baywood Park for over 12 years. Steve was an associate with Prudential Hunter Realty for 12 years and moved to RE/MAX Ocean West over 5 years ago. Steve has been a Platinum producing agent for RE/MAX for 5 years. As a platinum agent for his first 5 years in a row he has been recognized in the RE/MAX Hall of Fame as one of the top professionals in the real estate industry. Named LOBP Chamber 2005 Business of the Year, Steve continuously strives to be a top producing agent for his clients. Whether you are a seller or buyer, Bear Valley Realty is committed to a high level of professionalism and integrity to achieve the quality results you deserve. For Steve Auslender, real estate is his passion. It’s what gets him up and going every morning. This is evident from the enthusiasm with which he approaches the business, working hard for his clients to provide the finest real estate service possible. Bear Valley Realty staff includes realtor Tyler Fechner who is a Central Coast native from Morro Bay. He has been a part of the local community as a Sports Coordinator on and off for the past 10 years. Dianne Blanchard, office manager and realtor, began working for Steve in the Fall of 2010. Customer service is her specialty. She was previously a leasing agent in a Chicago suburb, and worked in Las Vegas before moving to the Central Coast with her family. Bob came to the area to go to Cal Poly for architecture in Dec. of 1979 with his girlfriend Beth after learning to draw for an architecture firm in San Diego. Beth started Cal Poly while Bob went to Cuesta because the Architecture Program at Poly was impacted. After living here for 6 months, Bob went to word for a contractor and never went to Cal Poly. Bob married his beautiful wife Beth in 1980. In Jan. 1983 Bob got his contractor’s license and went into business building residential and small commercial buildings. Beth assisted in the business when it first started while going to school and working at a hospital in nutrition. due to young guy with not enough experience. The project was brought in on time and under budget and the architect wrote Bob a letter of recommendation. Adaptability has been Crizer Construction’s means of survival. In 1991 during a down turn in the housing market Crizer Construction went to work in the cellular industry building cell sites and did that work for approximately 6 years. The loss of a brother happened on one of those sites in 1996 devastating to Bob and family. In 1993 Crizer took approximately 35 builders to LA to rebuild a home for a woman that lost her home in an equity fraud scam. Crizer and the Central Coast team built the home in 7 days and gave her home back to her for Christmas in 1993. In 1994 Crizer built a cell site on Santa Cruz Island and then continued work on the Island doing restoration work on buildings built by Italian stone masons in the mid to late 1800s. The work on the Island lasted for 10 years. Following cellular work Crizer Construction moved into work on the local schools doing “measure A” work for San Luis Coastal Unified. Housing returned and back in housing we went. Crizer Construction Inc. has been the general contractor on more than 60 new homes and commercial buildings in his career as well as over 300 remodels. Our offices are located in a building built by Crizer in 1984 and purchased in 2004. We operate in a small town where community service has always been part of our existence. Crizer Construction now carries approximately 30 staff members including 2 sons Jake andSam, that have grown up around the business and are presently part of the staff. Crizer Construction continues a commitment to community service and often has pizza or coffee with those they have built homes for. Erica Leiman-Spellacy and Jordan Carmichael, Pacific Capital Mortgage; Board Members Jim Stanfill; Renee Osborne; Whitney Reis; Lynette Tornatzky; and Kathy Breska owner of Pacific Capital Mortgage holding the certificate. This guide is a compilation of key resources and agencies throughout San Luis Obispo County that have services available for most of your business needs. The Business Resource Guide is intended to be an ever evolving tool and we encourage your feedback and input to ensure the data and contacts remain current and updated. Los Osos Fitness has been providing the community with exercise opportunities since 1994. Originally located at the old 10th Street Gym location, owner Terry Brown remodeled the old Miner’s Ace Hardware space and moved the gym to it’s current location in 2000. Los Osos Fitness employs 36 fitness experts including manager Laura Watson, has almost 10% of the population as members, and over the years has provided the space, equipment and instruction for over 1.4 million workouts. The Assessor, in collaboration with County IT, initiated the “Open Text Upgrade and Assessor Records Transformation” project. The project will continue throughout FY 2018-19. The project includes the scanning of over 2,200,000 paper documents in over 168,000 parcel files, the creation of a digital parcel file library within the OpenText document management environment, and developing many workflows combined with business process re-engineering to handle most of the Department’s work activities. Packing files in preparation for Shipment HAS BEGUN!!! Packing files in preparation for Shipment HAS BEGUN!!! May be a short delay in retrieving your file if it is off site being digitized. Access to all files for staff and property owners from either office location. Note: Digital parcel file documents will not be available to property owners or the general public on the website. As a small business owner, you may find yourself in a bit of a pickle in today’s competitive market: you feel like you need to grow in order to increase profits, but you don’t feel like you currently have the funds to do so. The good news is that there are ways to grow your business even if you are working on a limited budget. Here are some tips. There’s no rule that says the only way to increase your cash reserves is through your business’ profits. If you’re looking for capital to grow, you should consider other options. Forbes suggests looking to friends and family, small business loans, and angel investors. The former must be treated with caution. There’s always a risk to personal relationships when you throw business and money into the mix. You might also consider approaching your local Small Business Development Center or similar organizations to help you plan and pay for growth. Another option to consider is crowdfunding. Sites like Kickstarter, Indiegogo, and GoFundMe present a new funding opportunity for small businesses. If you have a good business idea, people will want to support it. If you’re going to hire employees, make sure you hire ones to manage your current workload and tasks first, before hiring employees for tasks and strategies you want to implement in the future. Employees are a major drain on your bottom line, so be shrewd. For example, you wouldn’t want to hire a marketing specialist if you’re already drowning in active projects. Look to lower-cost labor. Interns are a great option for some growing businesses. You don’t have to pay interns as much (either in salary or in benefits) and by using interns you’re building your employee pool for when you do want to hire full-time. Of course, there’s always the concept of sweat equity. You can take on much of the work yourself, boosting the value of your company by the sheer effort you put into it, saving money on employee costs. Leveraging your loyal clientele is a low-cost way to help your business grow. Many business owners only focus on new customer acquisition when they think about growth, but this is a mistake. Your current customers are the best marketing resource that you have. Ask your customers to refer your business to others. If you go above and beyond for them, they will gladly do this for you. The more you impress your customers, the more likely they are to sing your praises on social media. Keep them engaged through email newsletters, Facebook, digital blog content, and more. Offer special offers, services, or financial incentives for drumming up business for you. Social media is only one low-cost marketing technique – and there are plenty more to consider. Try teaming up with other local businesses for cross-promotional events. Join local business advocacy groups. Sponsor a local event. Hold contests to give away excess inventory. Offer your services to a local charity group. When it comes to getting your business name out there, you have to think outside the box. It’s tempting to go the traditional route when it comes to growing your business – high-cost TV and print advertising, inventory expansion, hiring a bigger team, etc. – even if it puts you into debt. But if you’re truly cash-strapped, you should first consider these low-cost ways to promote and grow your business: look for alternative funding, be conservative in your hiring practices, explore all sorts of marketing pathways, and lean on your loyal customers for promotion, partnerships, and referrals. SAN LUIS OBISPO, CA – The County of San Luis Obispo was in good financial shape at the end of the second quarter of this fiscal year, according to a recent report. The County Administrative Office presented the Fiscal Year 2017-18 Second Quarter Financial Report to the Board of Supervisors at yesterday’s public meeting. The report provides an overview of the County’s financial position in the second quarter of the current fiscal year, which took place between Oct. 1 and Dec. 31, 2017. $226.4 million or 37 percent of estimated revenue, which includes property and sales tax, collected license and permit fees, fines, forfeitures, penalties, and other financing sources. The County had only spent about 40 percent of the amount budgeted for expenses for the year at the end of the second quarter. The County also received more than $75,000 in donations, which were designated to appropriate programs and services. Most County departments reported that their budgets were on track at the end of the second quarter. However, there were some areas of concern reported. The County Behavioral Health Department expects a revenue shortfall at year-end. The County’s actions to implement the State’s Sustainable Groundwater Management Act (SGMA) has had a minimal impact on this year’s finances. Airports reported a 30 percent increase in passenger boarding numbers. Dairy Creek Golf Course’s lack of sufficient revenue will require a large subsidy from the General Fund, as authorized by the Board of Supervisors. The County’s Department of Social Services reported more than $285,000 in unbudgeted expenses related to In-Home Support Services, due to shifts at the State level. But these will be offset by unexpected growth in various revenue sources. The County is continuing to closely monitor expenses of the current fiscal year, as it expects a budget deficit next fiscal year. For more information, visit www.slocounty.ca.gov. L. to R.: Cheri Grimm, Cheri Grimm Bookkeeping; Debra Garcia, Golden Anchor Financial Services; Jim Stanfill; Megan and Jason Tewell, Los Osos Rexall; Richard Joseph; Chad Carroll, Baywood Ale House; Gabe Quiroz, Farmers Insurance. Los Osos Rexall has proudly served the community of Los Osos for over 35 years. Working side by side, Gary and Judi Tewell turned Rexall into an independent pharmacy and top rated gift shop focused on bringing the best customer service possible to their customers. Their son, Jason, began working as pharmacist in charge in 2010 and took over operations when Gary and Judi retired in 2015. Jason has continued his parents’ legacy by providing quality pharmacy care to patients and gifts for every recipient and occasion. Rexall has a friendly and knowledgeable staff, offers complimentary gift wrapping, delivers prescriptions to Los Osos, Morro Bay, and SLO, hosts fun seasonal events like the Holiday Open House and Pajama Party, and constantly brings in new gift merchandise for your shopping pleasure. Los Osos Auto Body Inc. or Robertson’s, as many know it, opened its doors in 1985 as a family business. Today that small family business has grown but has not lost its small town roots. They will gladly take the time to polish off a little scratch or go to bat for you with the big insurance companies. With employees that have been with them since they opened their doors, free loaner cars and four generations of the Robertson’s in house this is the definition of a caring family business. Thank you again to the Los Osos/Baywood Park Chamber of Commerce – for choosing Los Osos Grocery Outlet as your Business of the Month August 2017! We have been meeting lots of our neighboring residents. Coupons in local advertisements such as Bay News and Local Flavor help with our introductions, our customer service and valued products seem to keep them visiting often. We are thankful to the community response to our own little programs: Honorary savings cards for active & retired military families & veterans, win what you save (2 winners drawn a month), school rebate cards (we meet our neighbors, neighbors get groceries, and card carrying for selected schools get 5% of total sales earned back to their school). And then there is our big company wide food drive that happens the month of July. Independence from Hunger. As a family of grocers, all sister stores participate in collecting food, and monetary donations for our local food pantries. Together Grocery Outlet Inc. has raised over 1 million dollars this July! We were proud to be one of the newer additions to help that drive. Los Osos/Baywood Park Chamber of Commerce Business of the Month for July is The Medicine Shoppe at 1199 Los Osos Valley Road. The owners are pharmacist Keith Hanan and his wife Elizabeth, supported by a long term employee, DeDe Pauze and Compounding Technician, Alex Aspernelson. They have been in business in Los Osos since 1989. In addition to running his shop Keith has been a member of the Los Osos Rotary Club, was president in 2013-14 and continues to serve as a member of the Board of Directors. He is also a contributing member of St. Elizabeth Ann Seton Church. he wasn’t going to make money on it. I have since transferred all of my other prescriptions to him and I have been very happy with the service of Keith and his staff”. DO YOU HAVE A BUSINESS YOU WOULD LIKE TO NOMINATE? Recommendation for future monthly awards will be open to all. Nominators must apply the criteria adopted by the Board and the final decision will be made by the Board. The person making the nomination should offer sufficient detail as to why the business is being nominated to help the Board make the decision. All nominees will be considered and a winner will be chosen at the Board’s monthly meeting on the third Tuesday of the month. To be considered the nomination should be received on the Friday prior to the board meeting. Entries can be emailed to info@lobpchamber.org, or mailed to Business of the Month, PO Box 6282, Los Osos, CA 93412 and should include the contact information of the person making the nomination. Criteria for the “Business of the Year”: The Business of the Year Award recognizes a business in our community for noteworthy accomplishments, long-standing contribution to the community, and significant community service efforts. The nominees business activities illustrate a commitment to the community and have made a visible contribution in the past year that reflects business growth and achievement, innovation, creativity or community involvement. Must be a member of the Los Osos/Baywood Park Chamber of Commerce in good standing. Gives generously of themselves and/or staff in time and resources to the Chamber. Let’s nominate one of the many wonderful businesses that make our community such a great place to live, work and do business.